SEBI is right in regulating those offering stock recos on Social Media & Emails & SMSs. Looks like SEBI is in a Catch 22 ~ Damned if it Did & Damned if it Don’t ! Just penning a few thoughts on the Consultation Paper & may add more as I think them…. Where there is Money there will be Stink!…and with Sensex nearing 30000 again with Market Cap at Rs 11230121 crs or US $ 1.7 Trillion and expected to climb into 2017 you can imagine the Stink!…call it ‘Nexus’ if you want !….The Stakes are getting Higher in the Game ! Thankfully SEBI has not included Training in Capital Markets Services requires Registration.However for incisive Training I have to fundamentally analyse & value listed companies & opine on the Value Vs Share Price.I have been doing this for over 30 years .Can this Opinion for Educating & not Commercial or Investment or Disinvestment Recommendation Purposes in my Training Sessions & on my blog linked to Social Media too,construe as Advice and which requires SEBI Registration ?…this is the reason many good analysts have stopped Blogging all together.In my view this a great disservice to small retail investors.Where would they get reliable & good reasoning advice from ? from Brokers & Experts on Bubble TV Stock Channels?.They have their own axe to grind & I daresay are not part of the Human Race in this context!…so far for years I have turned down sponsored & paid blogger invite meets & offers of guest & paid blogs and advertisements from many finance institutions and individuals,many of them well known to avoid any blog bias and conflict of interest. Would this be protecting the vagabond listed companies rather than Investors as no one can air an opinion or view on the company’s doings unless they are registered with SEBI! ?….read many of my blogposts on such errant companies & you shall know what I mean…In the past I have fundamentally warned with reasoning ,without charging any fee, on Satyam,Geodesic,Arshiya International,Cranes Software,Karuturi etc that went on do become duds ….now to do so I may have to seek SEBI Registration ! SEBI Registration requires a minimum Academic or Professional Qualification~Why should Politicians who stand for Elections not be qualified too ! ?….ah perhaps that’s what leading to faking degrees!…to register to be an Investment Adviser,one has to pass the Investor Advisers Certification Exams by NISM.To be a designated as a Research Analyst one has to have passed the NISM Research Analyst examination.This is also a requisite for registering with SEBI as a Research Analyst.After 30 years I gave an exam again!~ In July 2016 scored over 90% ,attempting 98 of the 100 questions and getting 92 right! in the online NISM Research Analyst Certification Test…This allows me legally now to be designated as a Research Analyst but I have to seek SEBI Registration to practice as one for Consideration! Only 515 registered Investment Advisers registered with SEBI as on September 28, 2016 ? come on ! Is it best left to Institutionalise the Markets and force retail investors to route through MFs? Falling into the Technical Charting Trap in Stock Markets ! Stop Loss or Stop or Loss! Why do Most Market Traders and Speculators always fall into the Technical Charting Trap !? To be kind to Technical Chartists,it’s probably for the same reason we fundamentalists may fall into a Value Trap even when Investing ! Stop Loss was triggered across the Trading Platform . Surely most of the technical chartists must be avoiding client calls ! as till day before they were crooning on stock channels to stay and buy long and looking forward to Sensex & Nifty rising on the basis of Market shrugging off, in their view, the Greece problem after the ‘No’ referendum came in for agreeing to strict IMF Measures for more Loans…they yet come on the Channels justifying yesterday and Stop Loss being triggered ! This throws up a major Risk,even with Stop Loss in place, in Speculating using the Technical Analysis Approach….Yes,even on a Fundamental Basis stocks may drop,but at least Investors don’t risk losing all principal ! Posted in Controversies, Derivatives Strategies, Interesting News Sightings, Investing Approaches, INVESTOR MISTAKES, Nifty, Reflections, Sensex, STOCKS, Technical Analysis, VALUATION, When the Heart Explodes through the helpless Mind	Tagged Falling into the Technical Charting Trap in Stock Markets ! Stop Loss or Stop or Loss! We have done just that with Fundamental Stock Selections and no Derivative Play and no Insider Trading ! The Portfolios have outperformed the Sensex & Nifty more than twice over in just over two years from mid September 2012 to end October 3014 to give over 100% absolute gains before Tax and even after our Fees…we have not even considered hefty Tax Exempt Dividends received in the Portfolio! Technical & Fundamental Guys are on the same Wavelength for once! ~ The MODI Wave ! Technical & Fundamental Guys on the same Wavelength for once !…and it’s not the Dow or Elliot ! With the Sensex zooming today 2.91% and up 650 points to 22994 and the Nifty up 2.99% up 199 points to 6859 both the Technical Chartists and the Fundamental Guys are calling it the MODI WAVE ! Posted in Chuckle !, Investing Approaches, Investing Themes, Nifty, Reflections, Sensex, Technical Analysis, VALUATION	Tagged Technical & Fundamental Guys are on the same Wavelength for once! ~ The MODI Wave ! Do you Speculate ? ~ Here is some chuckling advice from a Commodity Dealer ~ Do Not wear Jeans without Underwear ! Do you Speculate ? ~ Here is some chuckling advice from a Dealer ! 😉 My Interpretation is that Stop Loss means you’ll be wetting only your Underwear ~ without Stop Loss you’ll be wetting your Jeans ! Wet Wednesday for Menthol ! Posted in Chuckle !, Derivatives Strategies, Insider Trading, Inspiring and Motivating, Interesting News Sightings, INVESTOR MISTAKES, Reflections, Technical Analysis, When My Mind Meanders..., When the Heart Explodes through the helpless Mind	Tagged Do you Speculate ? ~ Here is some chuckling advice from a Dealer ~ Do Not wear Jeans without Underwear ! What will Psychologists say for those who Speculate too much !? What will Psychologists say for those who Speculate too much in our Markets !? So what would Psychologists Say for those who Speculate in our Markets too much ! ? They are too Liberal with Other People’s Monies ! They cannot be trusted ! They need to attend De-addiction Clinics ! They are Top of the League in engaging in both the 4 letter words RISK and F–K ! ~ Aces in both ! They believe in more you Speculate the Luckier you will get,especially with a mindset of Double or Quits ! They have a Phd in Cursing and Foul Language and are Great Mentors for this ! ~ too much of F & O ! After All Derivatives are both Deleterious & Delinquent ~ Don’t be under any Delusion otherwise ! Hey ! I’m not saying it ! 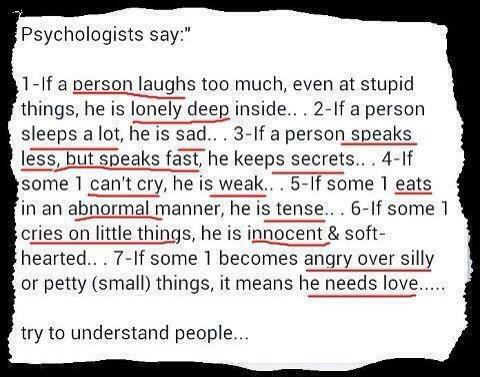 ~ just speculating what the Psychologists would be saying for those who speculate a lot ! What’s your Guess they would say for those who F & O too much !? Posted in Chuckle !, Derivatives Strategies, Inspiring and Motivating, Reflections, Technical Analysis, When My Mind Meanders..., When the Heart Explodes through the helpless Mind	Tagged What will Psychologists say for those who Speculate too much ! ?